Organizers of the ATLARGE Music Film Festival announced the event’s rich and eclectic lineup of films and panelists. The event’s lineup includes cult classic, “The Cabinet of Dr. Caligari” with a live score by DJ Spooky; hyper-local film, “Athens, GA – Inside/Out”; and hip-hop music film, “Wu: The Story of the Wu-Tang Clan,” followed by a Q&A session with director Gerald Barclay. Event goers will also be treated to Q&A sessions with Academy Award winning director, Ellen Kuras; Godfather of Techno, Juan Atkins; Athens legend, Vanessa Hay; and members of the Atlanta hip-hop/R&B production team, Organized Noize. The festival will also include parties and exclusive VIP events. 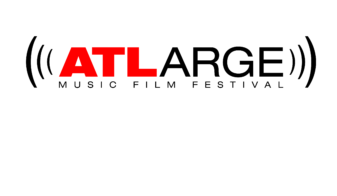 The inaugural ATLARGE Music Film Festival kicks off this year in downtown Atlanta, October 27-29. The 3-day festival will be co-hosted in partnership with Georgia State University (GSU). Single-day, weekend, and single-film passes are available for purchase and discounts are available for students with ID. The festival’s venue is primarily on GSU’s campus and was created with a green spirit in mind, requiring little to no use of a car. “The film and music industries in Atlanta are thriving,” said Jason Staten, Co-Founder and Director of Operations of the ATLARGE Music Film Festival.